Woodpeckers, wrynecks, and piculets, together called picids (PISS-ids), are small- to medium-sized birds that are primarily arboreal (live in trees). They have patterns of brown, green, or black-and-white. 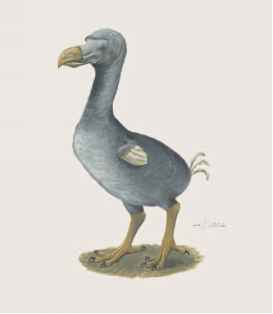 Most picids have zygodactyl (zye-guh-DACK-tuhl) toes (two toes facing forward and two backward). Woodpeckers and piculets usually have just two feather colors, with males having red or yellow on the head and females lacking it or with less of it; while wrynecks have similar looking sexes. Woodpeckers have stiff rectrices (RET-rihs-uhs; paired tail feathers). Wrynecks and piculets do not have rectrices. Woodpeckers have a relatively large head that is often called a "shock-absorber" due to its hammering into wood, a straight, sharply pointed to chisel-tipped bill, long cylindrical tongue that is often tipped like a brush, short legs, and strongly curved claws. The major tail feathers are mostly black. Wrynecks have brown, gray, and black upperparts, a slender, pointed bill, rounded wings, lightly colored under parts, a relatively long tail with rounded tail feathers, and short legs. Piculets look like small woodpeckers except that tail feathers are pointed but not stiff. Piculet plumage is soft and mostly brown and black in color patterns. long and weigh between 0.24 and 1.20 ounces (6.8 and 33.0 grams).